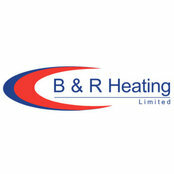 B & R Heating Ltd is a local, family run company based in Plymouth. Our company was set up by my dad, Brian Pedrick back in 1982 and is now run by my wife, Natalie Pedrick and myself, Richard Pedrick. We have engineers that have worked for us for over 30 years and all our apprentices attend the local college, Plymouth City College. Our engineers are Gas safe and Oftec registered which means they have been certified by the official bodies to make sure they are competent and qualified to work safely and legally within your home. We are also very pleased to be members of the well-respected WHICH? Trusted Trader Scheme.